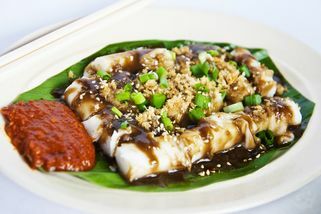 GF-03A Ground Floor, The Waterfront @ Parkcity, 5 Persiaran Residen, Desa Park City, 52200 Kuala Lumpur. Located in the Waterfront mall. From the lake, head into the mall's back entrance, keep walking until you reach the front entrance, then turn right and Onde Onde is right there. 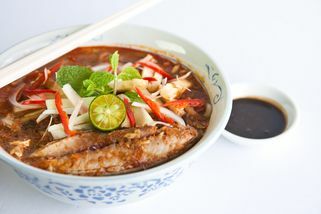 Onde Onde is a Malaysian/Nyonya restaurant located at the scenic Waterfront at Desa Parkcity where visitors go to bike, rollerblade, take a stroll, or walk their dogs. There are bike bays right in front of the restaurant so people can take a break and have a meal easily. 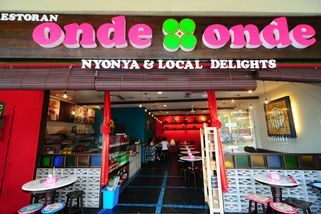 The ambience at Onde Onde is bright and cheery, with interesting traditional Nyonya deco and art. It’s also pet-friendly here and dogs are allowed if you dine at their al fresco section. 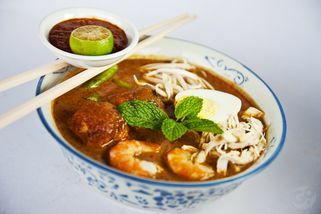 Onde Onde serves authentic Malaysian and Nyonya favourites such as assam laksa, nasi lemak, and nyonya curry laksa. The portions are generous and at reasonable prices. 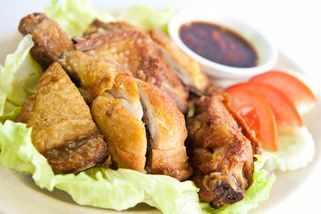 Onde Onde is a great place for families to dine, and it’s child friendly as well. Hang out with friend to desa park and had a brunch at onde onde. 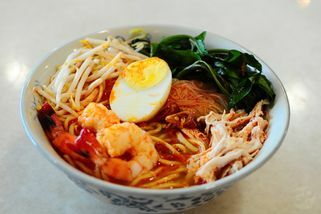 we had ordered kerabu mee hoon and penang zhu cheong fun. The food(zhu cheong fun)was too salty and taste abit weird(not used too). For the kerabu mee hoon really seems like chinese lao sang, served in cold.Very regret didnt ordered their signature dishes(asam laksa).